With the recent drought in Colombia, the power (electricity) has been unreliable. Because our apartment building is a new building, the power has been extra unreliable. We have had to go to sleep some nights hoping that there will be power the next day. 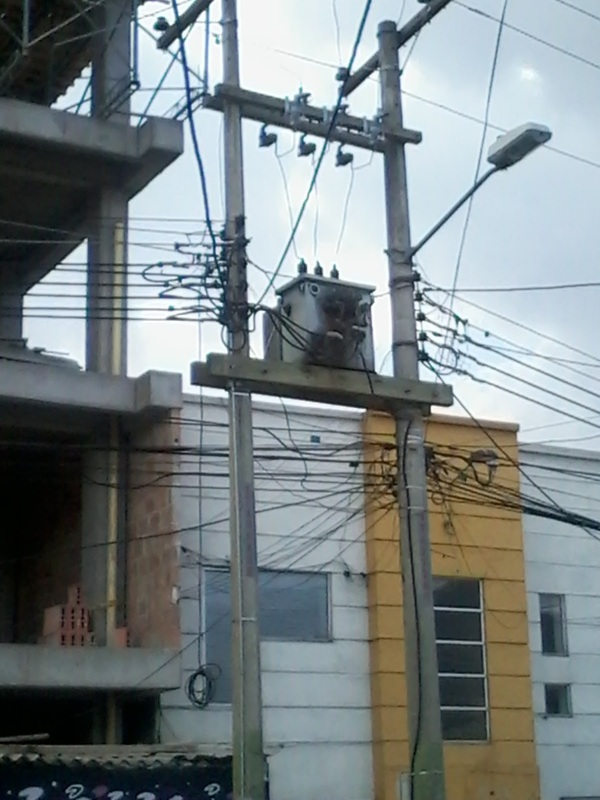 Power lines outside of the IELCO offices. Photo by Curtis.